This entry is part 1 of 3 in the series City Trip - Munich. 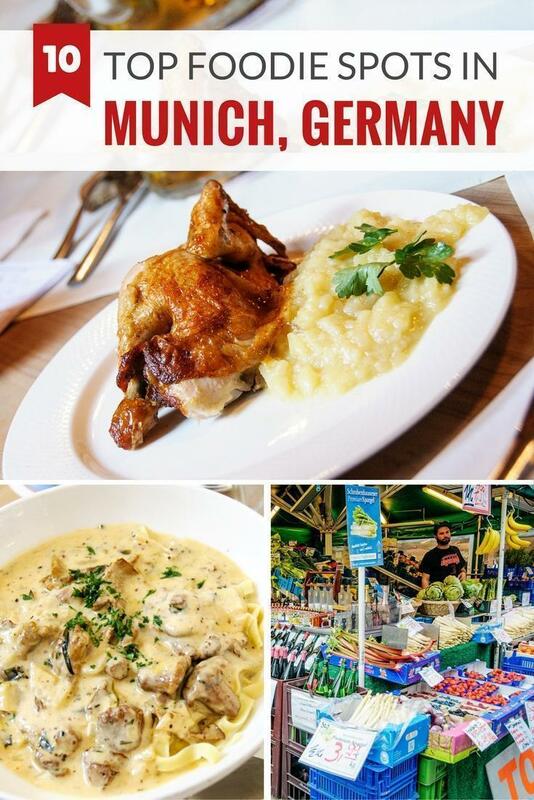 I was surprised by the variety of Munich food destinations, from shops and markets to restaurants. Today I share my 10 favourite foodie finds in the capital of Bavaria, Germany, so you know what to eat in Munich. 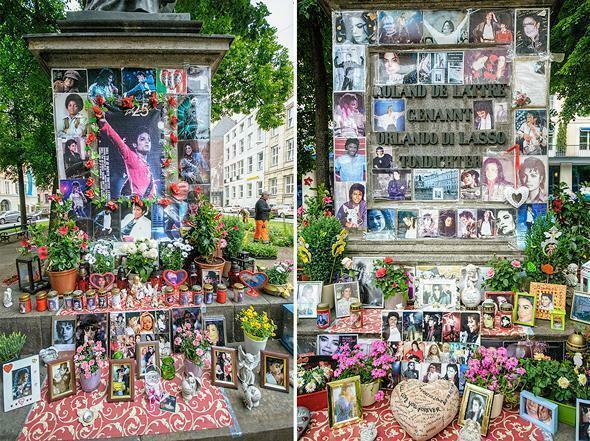 At the end of May, I was invited to discover Munich, a city in Germany I had never visited and known little about. In fact, when I thought of Munich, I’ll admit to visions of drunken tourists in Lederhosen, spilling beer on one another, during Oktoberfest. For someone who dislikes crowds and beer, it wasn’t a pleasant image and I was eager to replace it with something more positive. The theme of my Munich visit was ‘Tradition and Design,’ two things the city is brimming with. I have written about both of these aspects of Munich, but today I want to focus on the feature of the Bavarian capital that surprised me the most – the food. There are two easy and comfortable ways to travel to and from Munich from Belgium, (besides driving yourself, about 8 hours, non-stop) and I tried both of them. I arrived in Munich on a Lufthansa flight, which took a mere hour and twenty minutes. I had travelled through Munich Airport several times before, en route to Canada. However, I had never eaten at the airport. 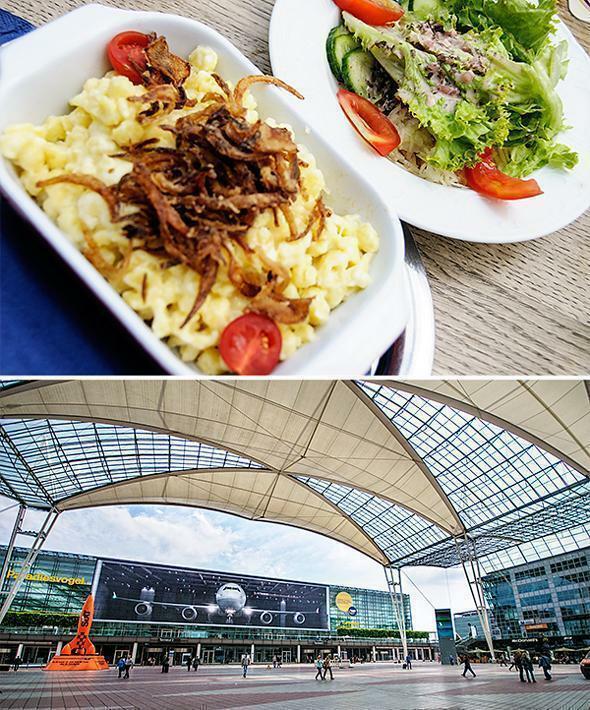 Andrew, on the other hand, still raves about the Schweinshaxe, (or roasted ham hock) he feasted on, at the Airbrau – a brewery in the airport’s large open-air courtyard. Good food at an airport? Count me in. I tested the cheese spätzle (one of my favourite German dishes and a must eat in Munich). Was it the best I’ve ever had? No, but it was pretty darn good – and at the airport! Airbrau is a certificate of excellence holder for TripAdvisor, so apparently, Andrew and I are not alone in our opinion. The second way to arrive in Munich (or depart from it, as I did) is on the Deutsche Bahn (or DB Bahn) ICE train. The trip is longer than flying, about 7.5 hours with a quick change in Frankfurt, but it is infinitely more comfortable and relaxing. If you travel in first-class, you have the option of dining at your seat or in the dining car. I was impressed by the quality of the food (so much so I forgot to photograph my meal!) and I definitely enjoyed the relaxing journey. You can also pack as many German goodies as you like in your suitcase, without worrying about weight restrictions – bonus! 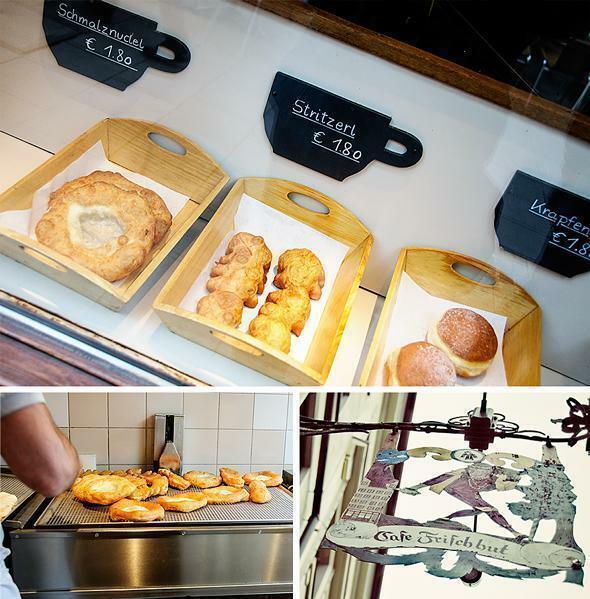 Munich’s answer to the doughnut is the Schmalznudel, a deep-fried pastry sprinkled with sugar. If you love sweet treats, this is one of the best things to eat in Munich. 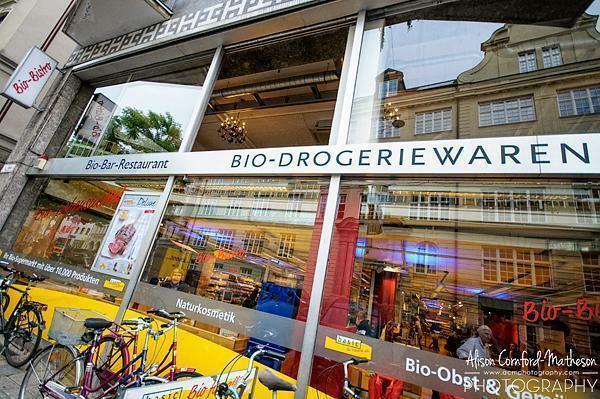 If you need to redeem yourself from a Schmalznudel binge, you can get your bio-food fix at the Basic Bio-Markt nearby. This organic supermarket chain can be found throughout Germany and has five locations in Munich, including one smack-dab in the centre. 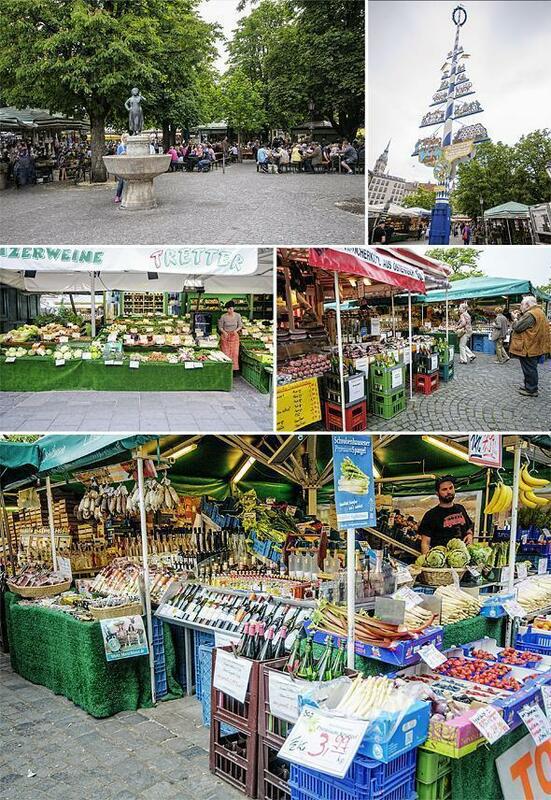 One of my favourite places in Munich is an absolute playground for foodies – the Viktualienmarkt. I could have spent an entire day exploring the more than 140 stalls and shops dotted around a shady Biergarten. In addition to groceries, you can find a selection of Munich street food at the market as well. 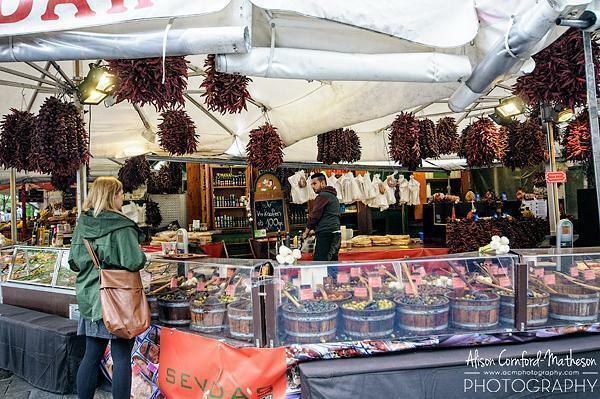 The market is officially open from 8-8 Monday-Saturday and stalls include everything from local wines to exotic spices. There are crafts, flowers, meats, and seafood, with plenty of opportunities to grab a snack or buy goodies to take home. You are free to eat your purchases in the Biergarten, provided you buy a beverage and it’s the ideal spot for a picnic of local delicacies. 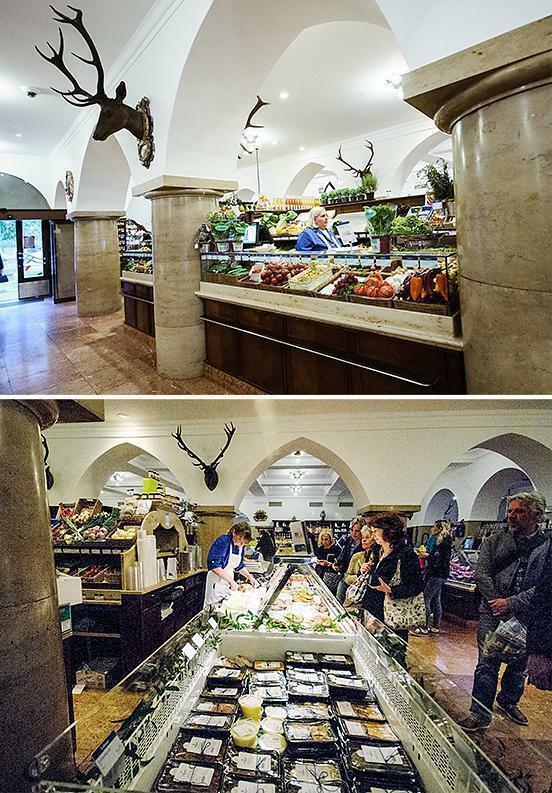 The luxurious Dallmayr delicatessen is to Munich, what Harrods Food Hall is to London. It is a beautiful, historic (dating from 1700!) 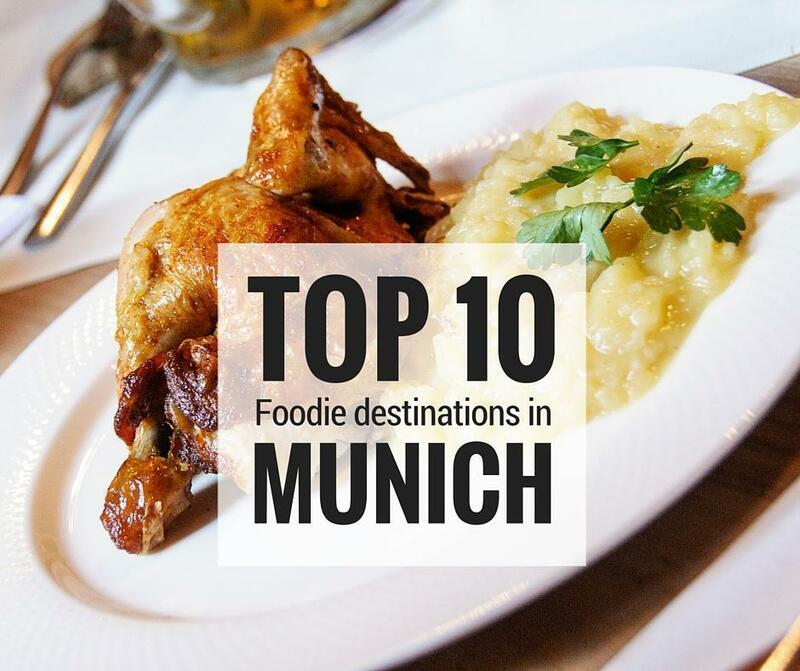 and popular destination for local and visiting foodies alike to purchase some of the best food in Munich. The company is primarily known for coffee and tea, but you’ll find everything from exclusive wines to decadent pastries within the food hall. While we’re on the topic of luxury indulgences, step inside the Bayerischer Hof Hotel for a taste of how the other half lives. While most of us can’t afford to rub shoulders with the rich and famous that have stayed here, you can indulge in the priceless view of Munich from the roof terrace. 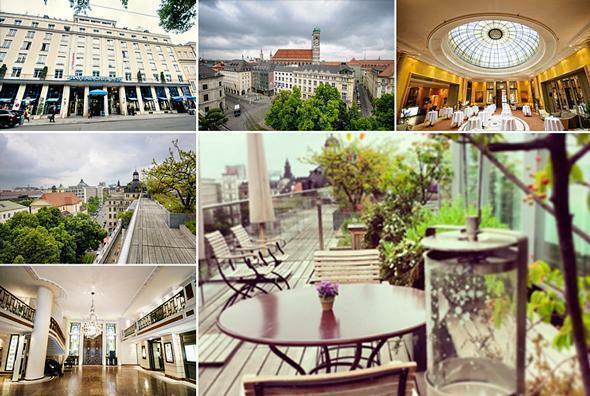 The Bayerischer Hof Hotel in Munich has a fantastic rooftop terrace. Visiting Munich without eating at one of the traditional breweries would be like visiting Paris without setting eyes on the Eifel Tower. 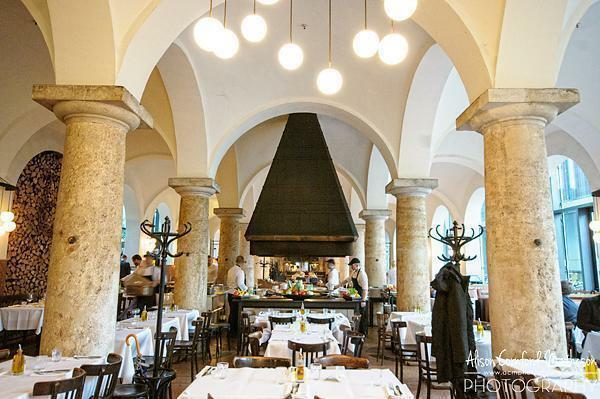 It’s simply a ‘must do.’ The Hofbräuhaus’ history began in 1598 and the restaurant has been serving traditional food in Munich since 1897. The Hofbräuhaus is not a place for vegans. Expect hearty, meaty dishes with plenty of bread and dumplings. 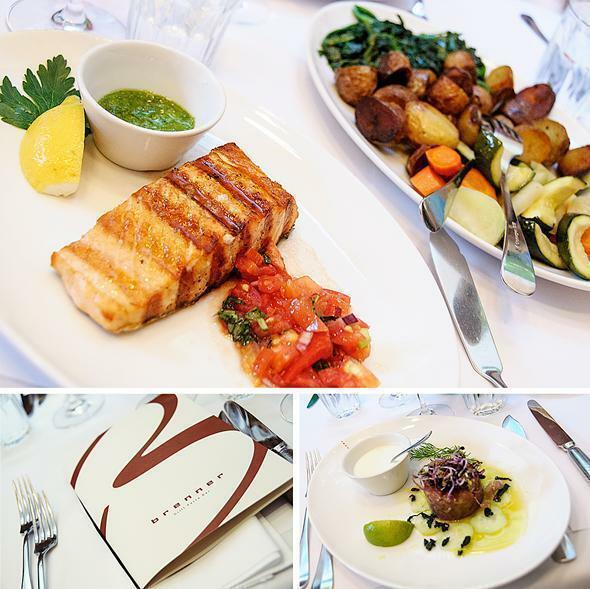 Considering the amount of food that passes through the vast industrial kitchen, to serve hundreds of guests each day, the quality and efficiency is excellent. 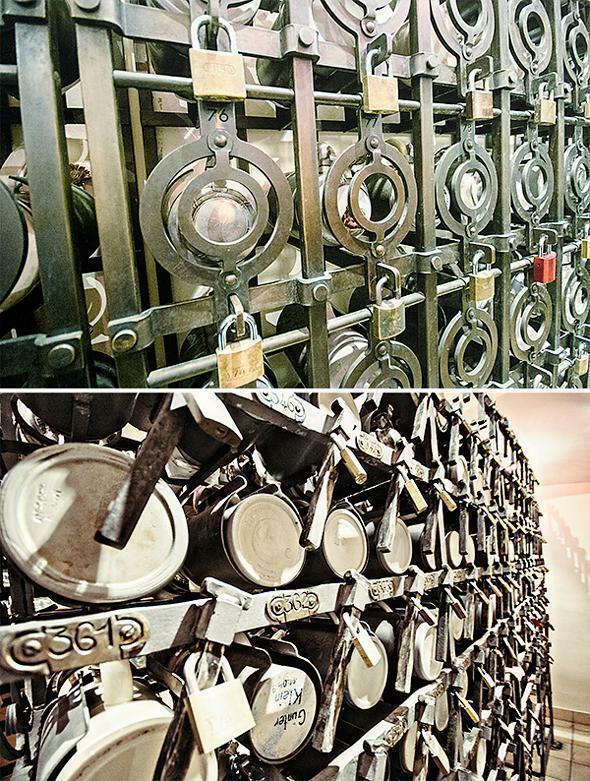 Regulars can leave their own beer steins locked safely at the Hofbrauhaus. The slots are so coveted, they are often willed to descendents. Contrast the best of historic Bavarian cuisine at Hofbräuhaus with new takes on traditional flavours at Brenner, one of the best Munich restaurants. 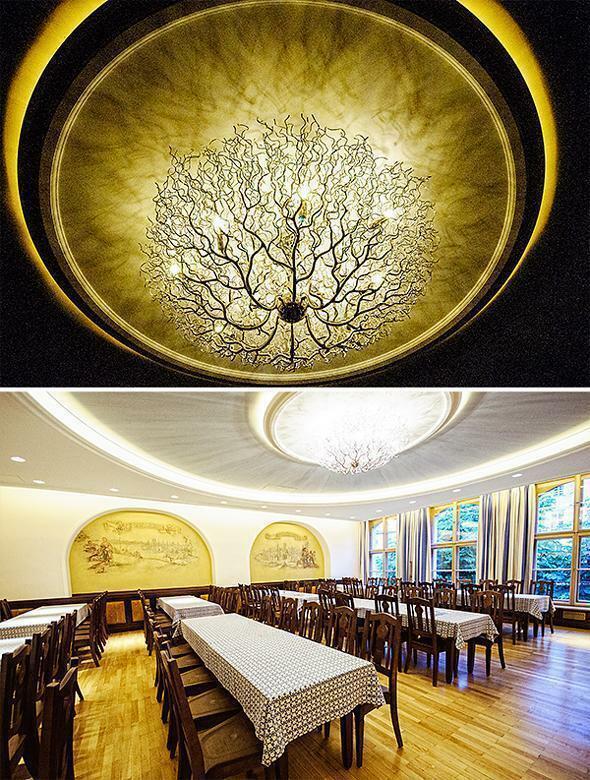 Far from being an intimate dining experience, Brenner is where the posh folks of Munich come to see and be seen. The vast restaurant and bar complex buzzes with energy and excitement and after tasting the food, I can see why. The restaurant centres around an open fire and the smell of grilling meat entices. The ingredients are high quality, fresh, and local where possible. The service was friendly, multi-lingual, and professional. I firmly believe a great foodie city has to do vegetarian food well. I am not a vegetarian, far from it, but I love being surprised by innovative vegetarian cuisine. 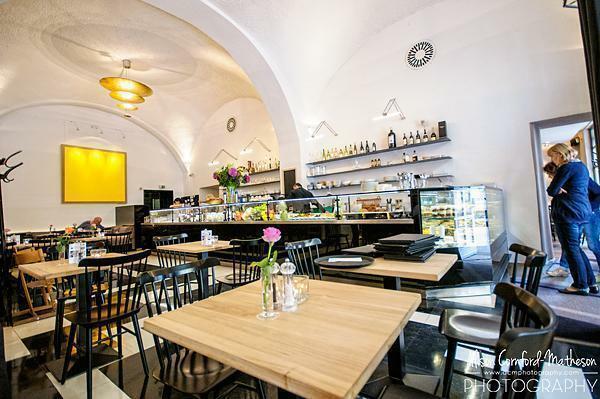 I was certainly not expecting to have one of the best vegetarian meals I’ve ever enjoyed in Munich, but that’s exactly what I discovered at Prinz Myshkin. 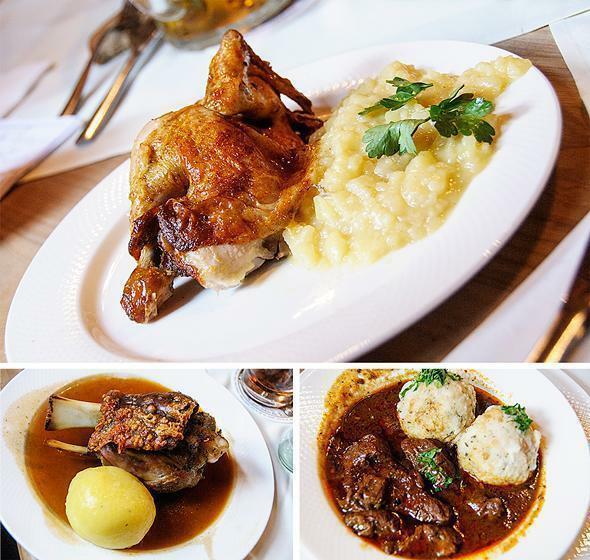 With its bright, modern interior, Prinz Myshkin looks like a newcomer on the Munich foodie scene but it’s been thriving in the city centre for years. 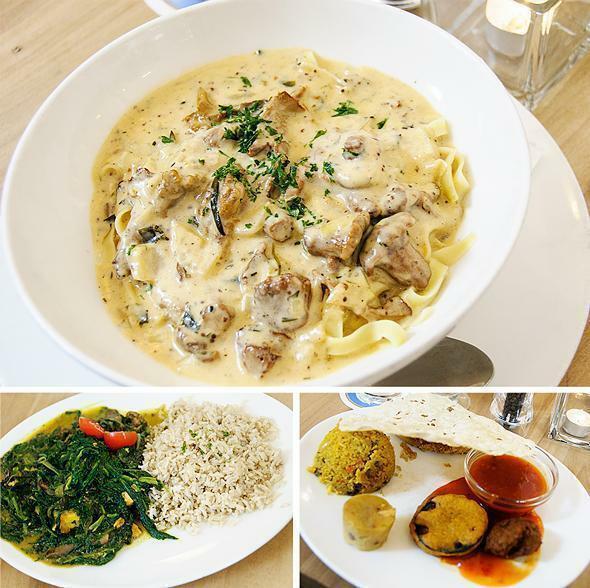 The menu is varied and international, with options from pasta to curry. If you want the full ‘must eat’ Munich experience, why not book a food tour with a local guide? 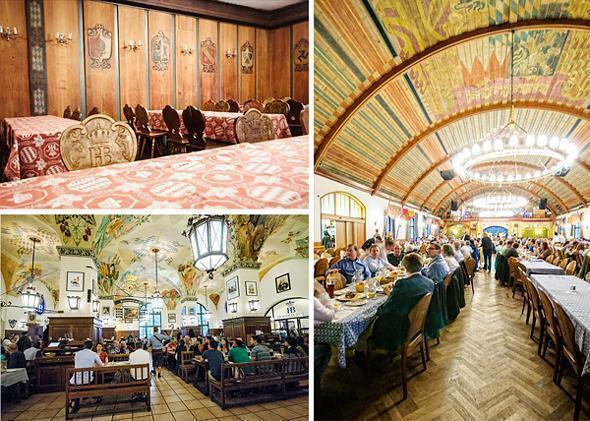 There is a wide range of offerings available from the traditional Munich food scene, to Bavarian beer culture, and even a classical concert and food pairing. The following food tours and experiences are my top picks, but there are plenty more to discover. I was blown away by the quality and variety of foodie options in Munich and I can’t wait to return and discover more. I wouldn’t be able to do what I do without the generous support of our sponsors. I’d like to extend a huge thank you to URBN PR and Munich Tourism for inviting me to discover their city. I’d also like to thank both Lufthansa and Deutsche Bahn for sponsoring my travel to and from Munich. We at CheeseWeb are committed to always sharing our honest opinion of any product or service we write about, whether sponsored or not.